Another big project scratched off the list. This one was an extension of our roof project, since we got a new front patio roof. We pulled up the bushes that were in front of our house and decided we would install pavers in the area outside to create a nice front patio sitting area. 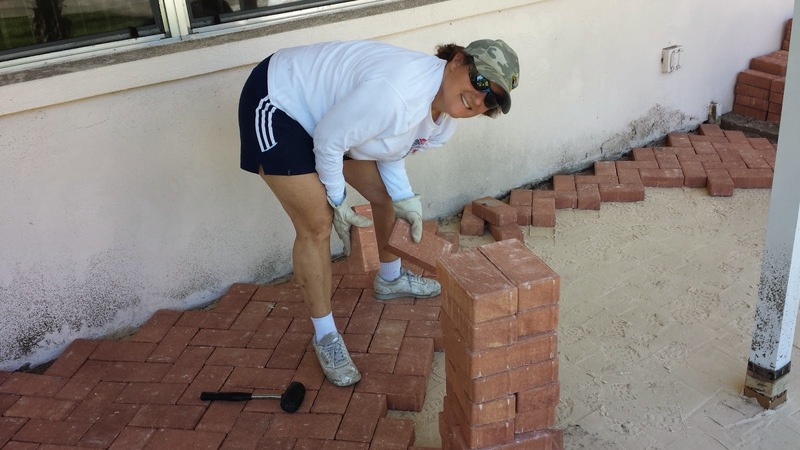 Since installing pavers is more of a brute force, lifting, bending, moving five pound blocks of rock we figured it wouldn't be rocket science to do it ourselves. After getting hosed by the roofing contractor, we just didn't want to spend over a thousand on paving a little patio. So we watched Youtube videos and figured out we needed to make a couple base layers, compact it with a rented compactor and then lay the bricks. We bought the bricks from a local paver company and humped them home in the back of the truck a couple different days, over 1300 lbs each trip. Then we had a 1/2 ton of gravel we bought and off loaded. And of course another half ton of sand. Does it sound like a lot of work yet? Do your thighs and your shoulders ache just reading about it? They should because I couldn't sit down or get up for 3 days without straining my quads. I felt like after I ran a marathon. My muscles were toast. 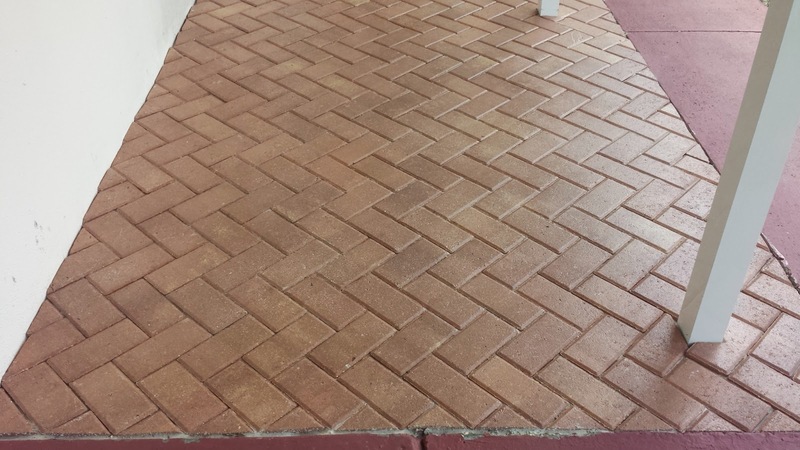 Anyway, we spent a Saturday installing the pavers and Scott cut them all perfectly with his cheap angle grinder and that new diamond saw blade. A $50 investment in the project. So we spent about $500 on supplies and saved ourselves about $1000 in labor by doing ourselves. But I can honestly say I won't ever do it again.